The growth of a church congregation often accompanies an increase in differences among members. 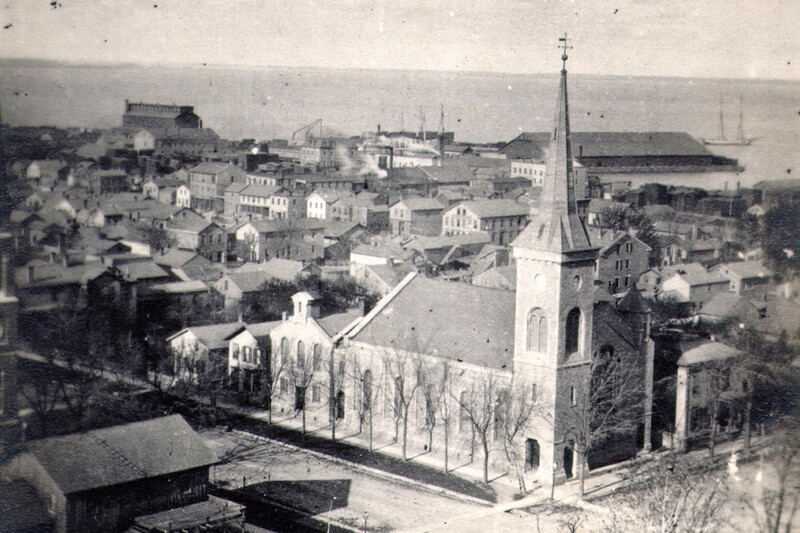 Such a division spurned the growth of Old First Church when twenty-six members left the Congregational Church, which evolved into the First Presbyterian Church. By the time construction of the rear chapel commenced in 1853 native limestone had become a widely accepted construction material. Members worshipped in the chapel until the sanctuary was completed two years later. A New York architect designed the Romanesque Revival style structure, with rounded windows and rounded louvers in the steeple. John Irvin, an active member of Sandusky’s Underground Railroad, served as the master builder. The 1926 and 1927 alterations resulted in the rose window in the stone tracery and arched entrance with foliated columns. First Presbyterian Church remains active to this day.